Lovejoy no killjoy: Comet cracks corona question! When Comet Lovejoy streaked past the sun, its tail formed a series of rapid squiggles as it was driven by the sun’s complex magnetic fields. Satellite images converted a chunk of ancient ice into a natural scientific instrument that reached where no artificial instrument will ever go. 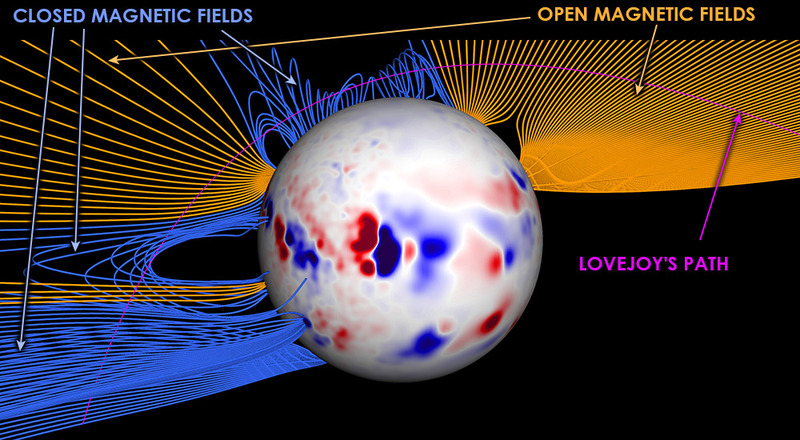 Those open magnetic fields drive the solar wind throughout the solar system. To explore the swirling magnetic fields surrounding our neighborhood star, scientists have press-ganged a “dirty snowball” into an instrument of science. As comet Lovejoy brushed perilously close to the sun, it was observed by instruments sensitive to extreme ultraviolet light. “EUV” is a short-wavelength, high-energy electromagnetic radiation that acts as the language of the corona, the turbulent, million-degree region surrounding our sun. Lovejoy’s suicidal sojourn to within 140,00 kilometers of the sun occurred in December, 2011. As it passed through a fiery-hot region where artificial satellites may never visit, the comet was under the watchful eye of instruments on three satellites. Before its solar roasting, Lovejoy was probably a few hundred meters across, composed mainly of ice. Author Cooper Downs discusses how comet Lovejoy may offer new clues to the sun’s outer layer, called the corona. As you can see from the video, the comet’s tail seems to be buffeted by an invisible wind. In reality, that wind is the sun’s intricate magnetic field. As the icy comet cruised through the super-hot corona, it sublimated into gaseous water, which three seconds later separated into oxygen and hydrogen under intense radiation. 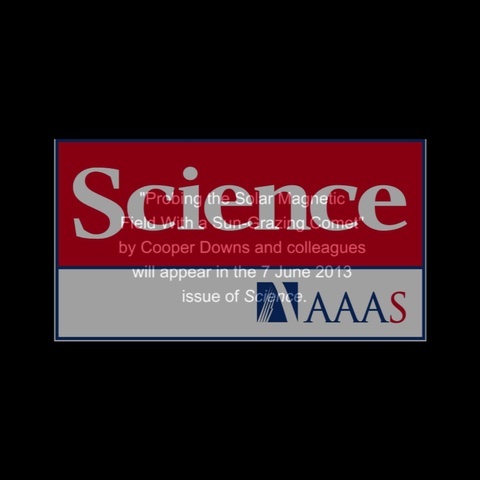 The oxygen atoms immediately lost electrons and became ions, forming the state of matter called plasma. Because plasma is electrically charged, it responds to magnetic fields. The hot plasma also creates the EUV radiation that was “seen” by the satellite instruments dedicated to observing the sun. These detectors are tuned to EUV because the star’s intense magnetism and radiation elevate conditions to 1 million degrees C, creating a bountiful source of this high-energy radiation. The pay dirt in the Science study, the fact that the tail would respond to the magnetic field, “was unexpected,” Downs says. But by responding to the magnetic field and sending out ultraviolet messages, plasma in the comet’s tail became a magnetic-field detector. The sun isn’t just a ball of hydrogen and helium. Solar prominence: A filament of dense, relatively cool gas shaped by closed magnetic fields. Solar flare: Sudden release of energetic mass of ions and atoms, often leading to a coronal mass ejection that can spit this material past Earth’s orbit. 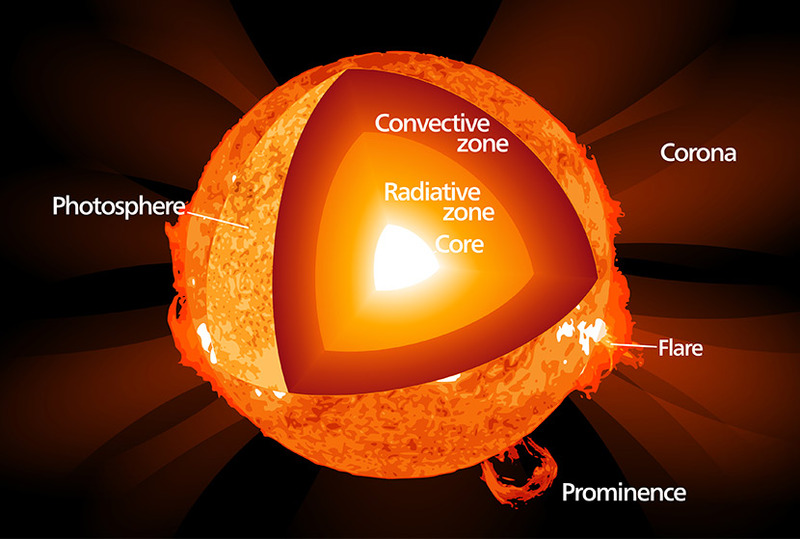 Photosphere: Visible surface of sun, source of most of the visible light. Corona: Super-hot gas and plasma surrounding the star. Sun: Hottest act in town! 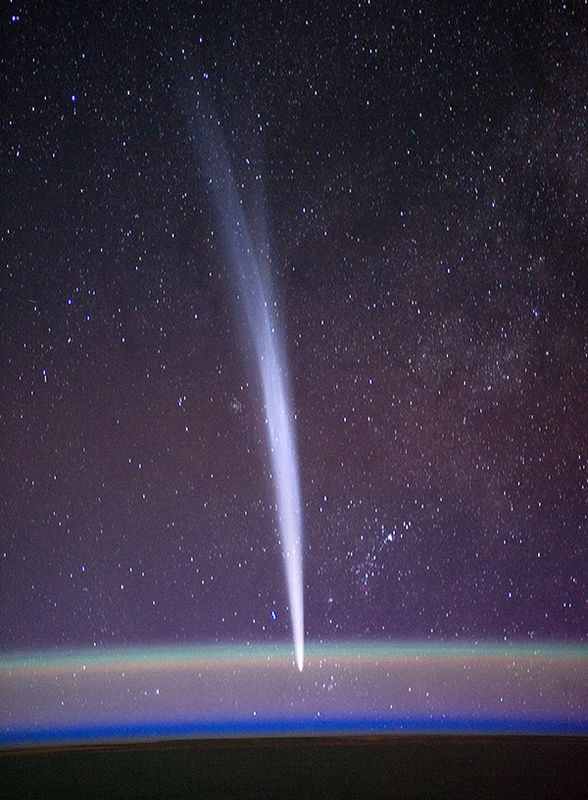 Comet Lovejoy above Earth’s horizon on Dec. 22, 2011. Why the twin tails? The curved tail is made of dust and usually follows the comet’s orbit. The gas tail is strongly influenced by the solar wind and thus points away from the Sun. Both tails are made largely of water molecules. Earth has its strong points, but it’s the sun that dominates our tiny corner of the universe. Beyond the torrent of visible and invisible radiation, the sun also emits a solar wind of charged particles, spits out the occasional mass of hot atoms, and is surrounded by a phenomenal, changing magnetic field. The magnetic field originates in a dynamo — rotation of magnetic materials — inside the sun. The wind can interfere with electric lines, radio transmissions and satellites. The outer extent of the solar wind, far beyond Pluto, defines the boundary between the heliosphere, dominated by the sun, and galactic space, says Downs. And so Lovejoy was converted into a disposable scientific instrument, yielding data from a zone that spacecraft almost certainly will never enter. By Dec. 19, Lovejoy’s corpse had disappeared, Downs adds. Mission accomplished!